When a young girl who talked to President Donald Trump on Christmas Eve said she still believes in Santa Claus, he responded with, "Because at 7, that's marginal, right?" 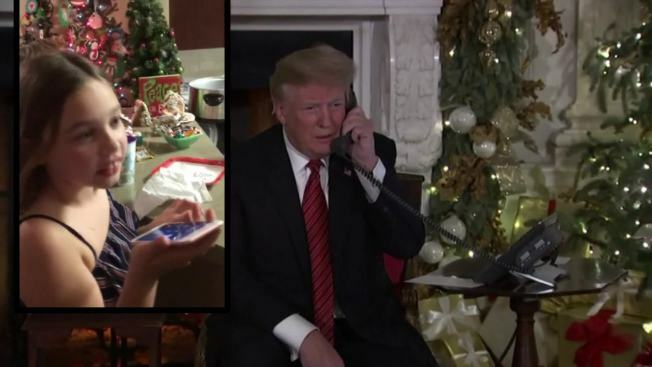 A 7-year-old girl who talked to President Donald Trump on Christmas Eve still left out milk and cookies for Santa despite the president telling her it was "marginal" for a child of her age to still believe in the jolly old elf. Correction: An earlier headline referred to Collman as a boy and has since been updated.